Fair Trade - What is the definition of Fairtrade? Fair Trade organisations have a clear commitment to Fair Trade as the principal core of their mission. They, backed by consumers, are engaged actively in supporting producers, awareness raising and in campaigning for changes in the rules and practice of conventional international trade." The actual implementation of fair trade agreements is rather more involved, but extremely rewarding for all involved in more ways than financially. We should give immense credit to all manufacturers, suppliers, workers and Artisans who wholeheartedly work within the full terms of a fair trade agreement. It requires much effort all round and is certainly no mean feat. Organic food - What makes food Organic? The definition is food that is produced by recognized methods of Organic standard farming. Unfortunately, like many organizations, these methods do vary throughout the world, but the general principles hold trues. These include the management and respect towards resource, ecology, and the conservation of biodiversity. Organic products usually restrict crop growing using pesticides and fertilizers. The resulting processed food products are also free of irradiation, solvents or any synthetic food additives. Although many small food producers, and individuals, can and do grow food to meet an acceptable organic standard, it cannot be sold as organic, or at least it cannot have an organic label, unless the producer has the appropriate certification to indicate that they have complied with the specific countries' Organic program. Many types of Organic food, drinks, Coffee etc can also be produced under Fair Trade principles, the ways of meeting the two disciplines can often be mutually acheivable. Veganism - What is the definition of a Vegan? The Vegan Society was founded in the UK in 1944.
" Veganism is a way of living which seeks to exclude, as far as is possible and practicable, all forms of exploitation of, and cruelty to, animals for food, clothing or any other purpose." But there are different types of vegans, who can all still be compliant. People are surprised that there can be Vegans who will eat junk food and Vegans who eat raw food. 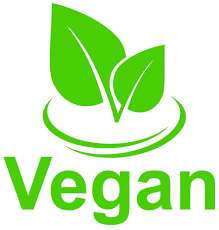 The one thing that all Vegans have in common is a plant-based diet, that avoids all animal foods, such as meat, fish, shellfish and insects, in addition to any dairy products, such as, Milk, eggs, Cheese, Yoghurt, even honey, gelatin, beeswax, collagen, or keratin. - as well as avoiding any products like leather and avoiding any product such as Cosmetics that may have been tested on animals.